Your prayers have been answered! As each new cast announcement for the upcoming season of American Horror Story rolled out, there was one name that fans kept clamoring to hear: Angela Bassett, who so memorably played vindictive voodoo witch Marie Laveau in Season 3's Coven and three-breasted Desiree Dupree in Season 4's Freak Show. 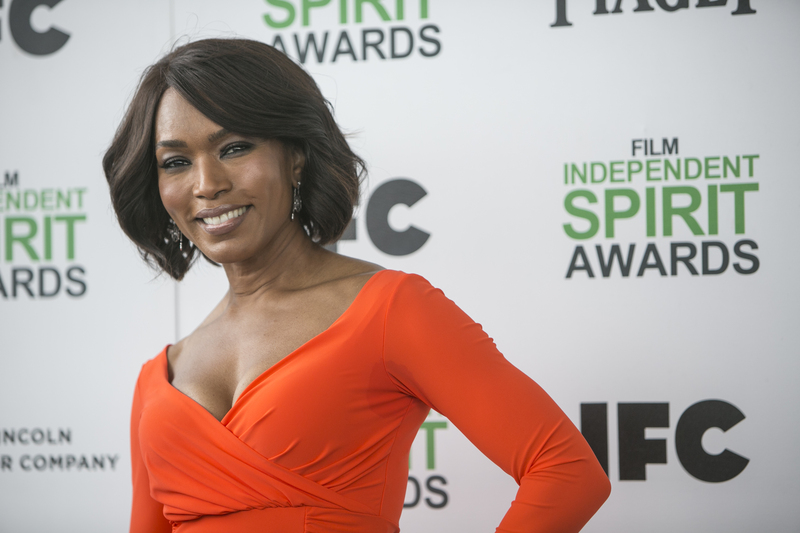 Well, now we can all stop holding our breath, because it's official: Angela Bassett has joined American Horror Story: Hotel ! The actress (most widely known for playing Tina Turner in 1993's What's Love Got To Do With It — a performance that earned her an Oscar nomination) is far from the first AHS veterans to check into the Hotel. According to a press release from FX, Bassett joins mainstays Sarah Paulson and Evan Peters, who have both been cast members since Season 1; Kathy Bates, who also joined in Season 3's Coven; Chloë Sevigny, who had a supporting role in Season 2's Asylum; and Matt Bomer and Wes Bentley, who both cameoed in Season 4's Freak Show. (Sadly, no word on last year's breakout star Finn Wittrock, who memorably portrayed psycho killer Dandy Mott.) This already impressive list of names is bolstered by newcomers Cheyenne Jackson (Glee, 30 Rock) and Lady Gaga, in Hotel's starring role. Let's brainstorm some theories for Bassett's character, shall we? Naturally, the first thing that comes to mind when you hear the word "ballroom" is a dancer. Perhaps Bassett will be playing a graceful, world-famous dancer (with a dark past, obvz) staying at the hotel while in town for a highly-anticipated performance. Then again, dancers aren't the only people who frequent ballrooms. Perhaps Bassett isn't there to tear up the dance floor, but rather to serenade the crowd. We already know Bassett can excel at playing a talented singer, and since Murphy mentions she'll be in the ballroom with her singing costar Lady Gaga, perhaps the two will play feuding diva songstresses. Even more depressing is the possibility that Bassett will be playing a former singer or dancer who's now a washed-up has-been, reliving her glory days by haunting the hotel's ballroom. I'll let the immortal words of Barry Manilow explain: "Still in the dress she used to wear, faded feathers in her hair / She sits there so refined and drinks herself half-blind / She lost her youth and she lost her Tony / Now she's lost her mind!" Of course, this being American Horror Story, there's a good chance that Bassett won't be portraying any sort of living character at all, but instead a lost spirit who's taken the sport of "haunting the ballroom" to a very literal level.